I think it is a milestone of humanity; a form of art which leaves you in awe. 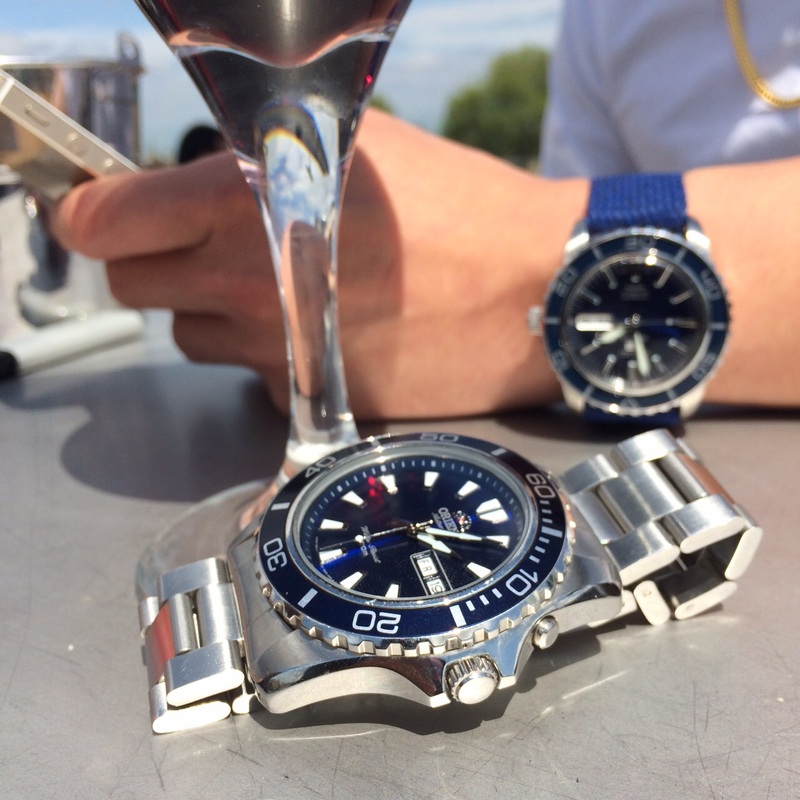 What got you into watches? “A watch is a watch, what difference does it make so long as it tells time?” that was my initial view of watches. In addition to that, watch collecting is not something new to my family, the hobby itself started with my dad who was a watch-guy, I never really understood what got him so interested in this hobby until I myself caught the bug. The story of how I got involved in watch collecting started earlier this year when I caught a glimpse of Marshie’s watch. Marshie’s collection varies from diver’s watches to pilot watches, although they were merely practical watches, he also happens to own one or two rare pieces in his collection, it was evident that he has been collecting for a while now and the passion emitting from the way he tells his personal stories behind each watch was contagious. I began to develop a sense of enlightenment, further deepening my interest in the hobby. We would also occasionally gather for ‘watch-hunting’ trips to London. 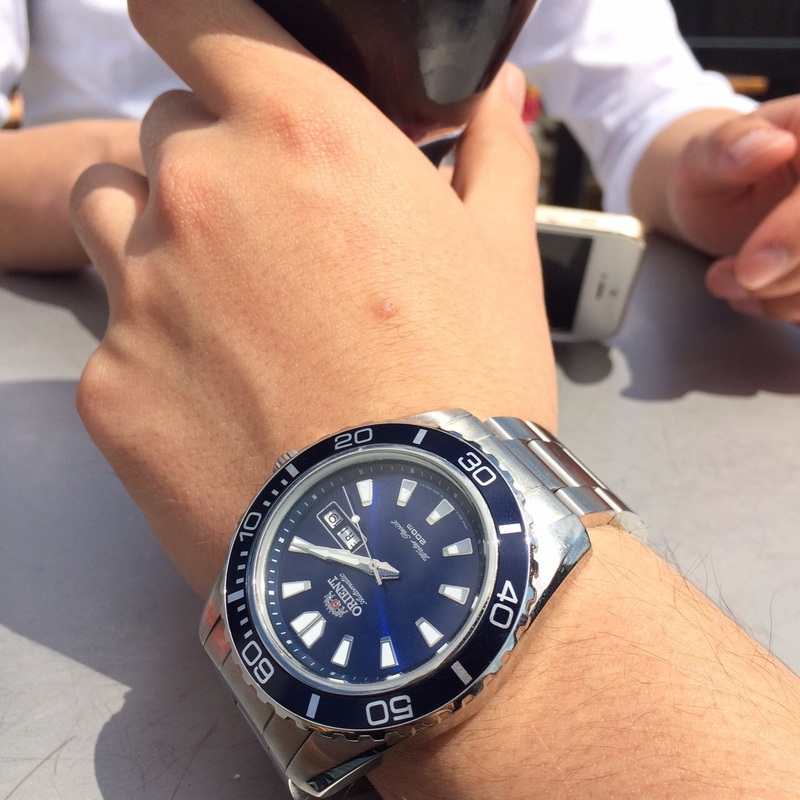 My first watch was an humble Seiko Solar which was given to me by my father, the watch itself is nothing special, to me it was just another ordinary piece despite the fact my father was telling me seemingly-exaggerated stories regarding this piece as to its solar-powered movement as well as the origins of Seiko. 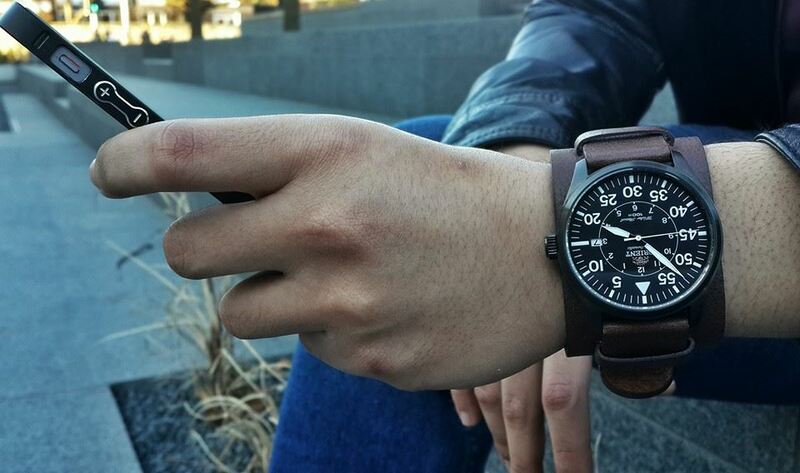 Orient Flight PVD finish on a pilot bund strap. 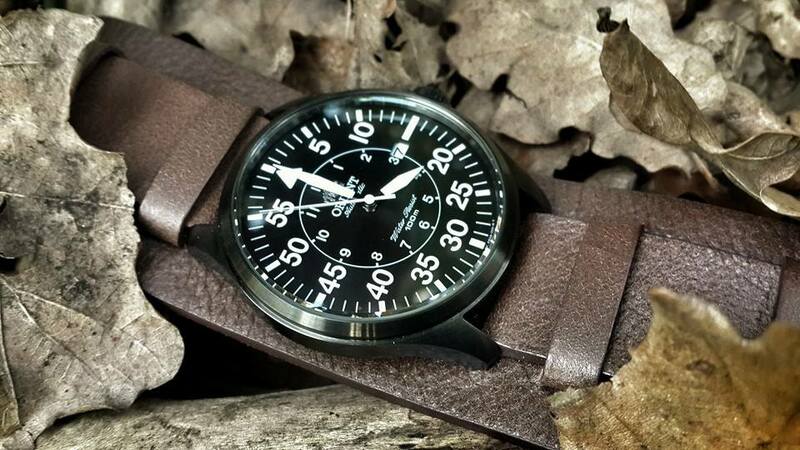 To me, I think watches are more than just timekeeping instruments, I would say a watch represents the wearer in many distinguished ways especially his personality and character. Same goes for sentimental elements, there is just something special about owning a watch to signify a milestone in life, such as graduation, the accomplishment of something or even your wedding day. Furthermore, from my perspective, I seem to have developed a sense of appreciation for the engineering, patience, perseverance and craftsmanship that goes into the production of these beautiful watches, it is just plain amazing to see the gradual development of the watchmaking craft over the years, I think it is a milestone of humanity; a form of art which leaves you in awe. Currently I own three watches, one being the Seiko solar which was given to me by my father, while the other being the Orient Flight which I purchased on my 22nd birthday, I also happened to have it fitted with a bund-strap to give it a more rugged look, and it turned out amazing, especially with the orient flight having a huge case profile of 42mm, it has a relatively close resemblance of a pilot watch from the World War eras. 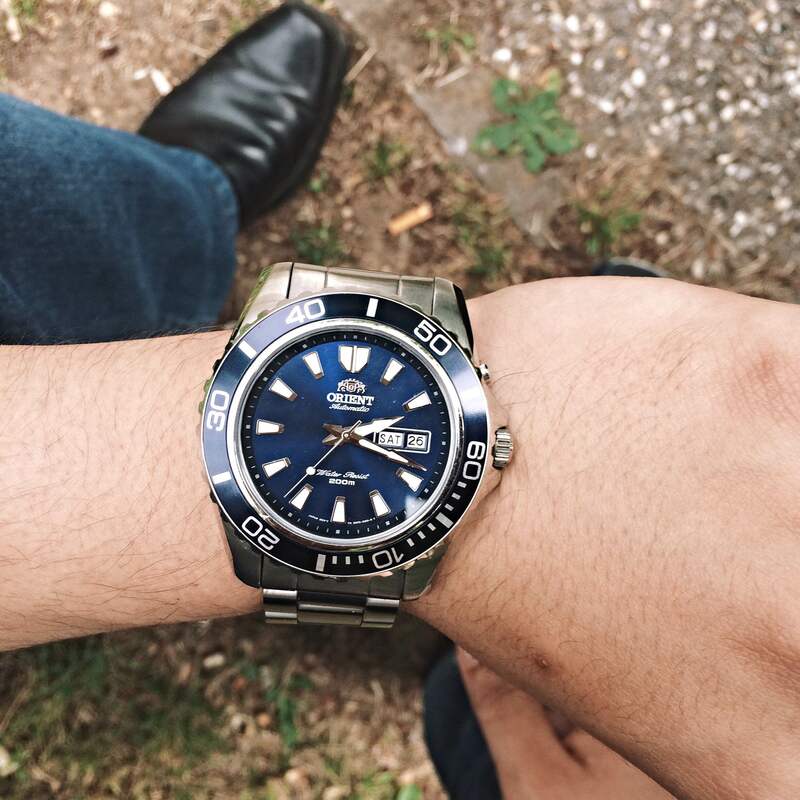 Similar to Marshie, my collection tends to gravitate towards Japanese brands, mainly Orient, which is a subsidiary company of Seiko. Reason being their value in terms of price performance ratio and versatility of their watch models.